Congratulations to the 2017 AAPA South Australian State Industry Award Winners. Recently over 100 members and their partners from the flexible pavements Industry came together for the Annual South Australian State Gala Dinner and Industry Awards. Photos of the event can be viewed and downloaded HERE. This year we had two winners for this award due to a tie. 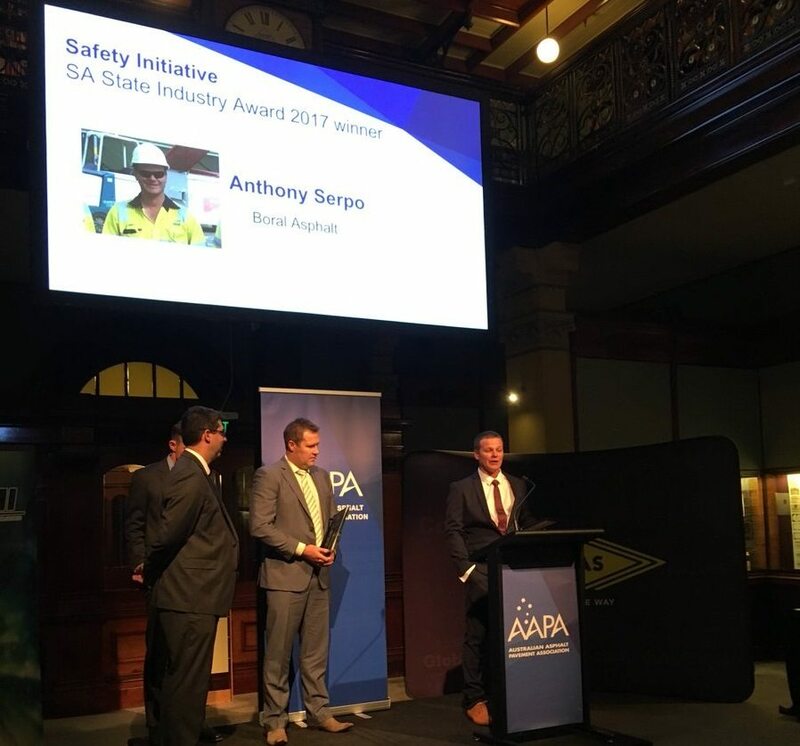 Congratulations to the 2017 South Australia Safety Initiative Award winner Anthony Serpo from Boral. 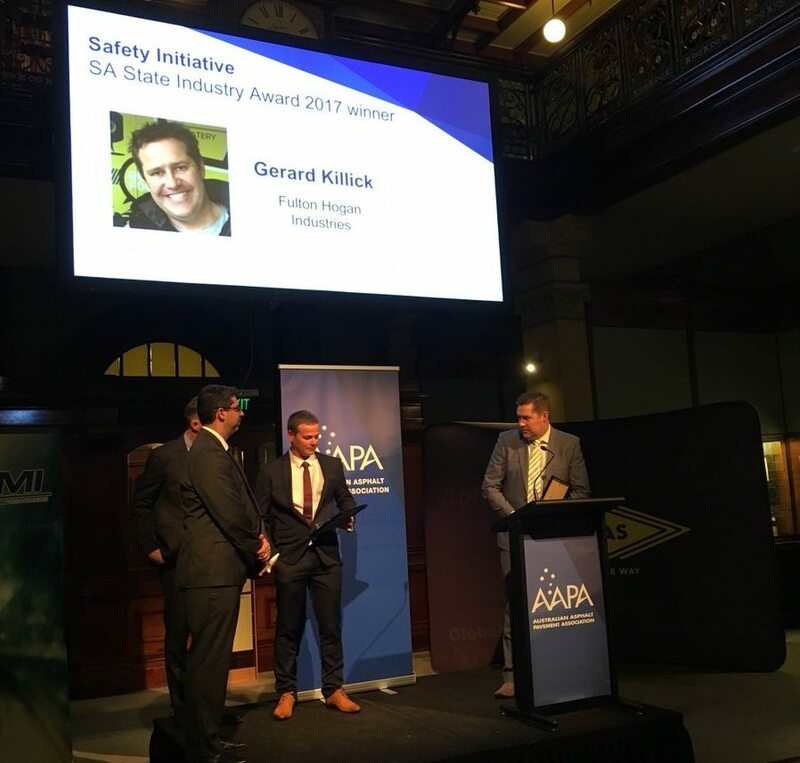 Congratulations also goes to Gerard Killick from Fulton Hogan who picked up the second 2017 South Australian Safety Initiative Award. Congratulations to the 2017 South Australia Emerging Leader Award winner Jack Arnold from Boral. Thank you to the 2017 Emerging Leader Award Series Supporter Altus Traffic Group. 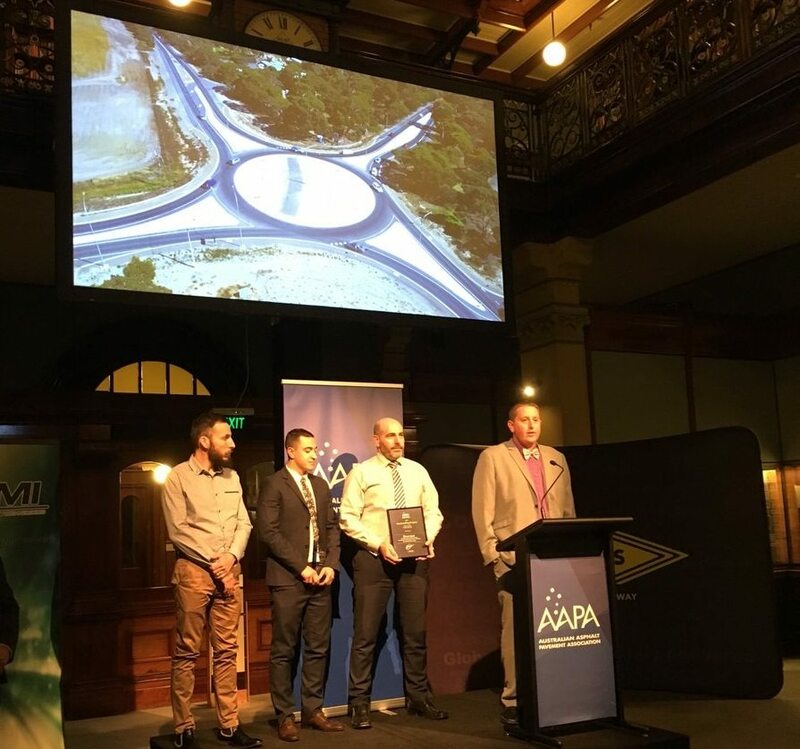 Congratulations to the South Australia Downer Team for taking out the 2017 Outstanding Project Award for the construction of rural the roundabout on the Noarlunga to Victor Harbor Road, Hindmarsh Valley. Thank you to the 2017 Outstanding Project Award Series Supporter COLAS Australia. Congratulations to the 2017 South Australia Road Worker of the Year Larry Bergsma from Boral. Larry’s Manager accepted the award on his behalf on the night, but was handed his award a few days later. 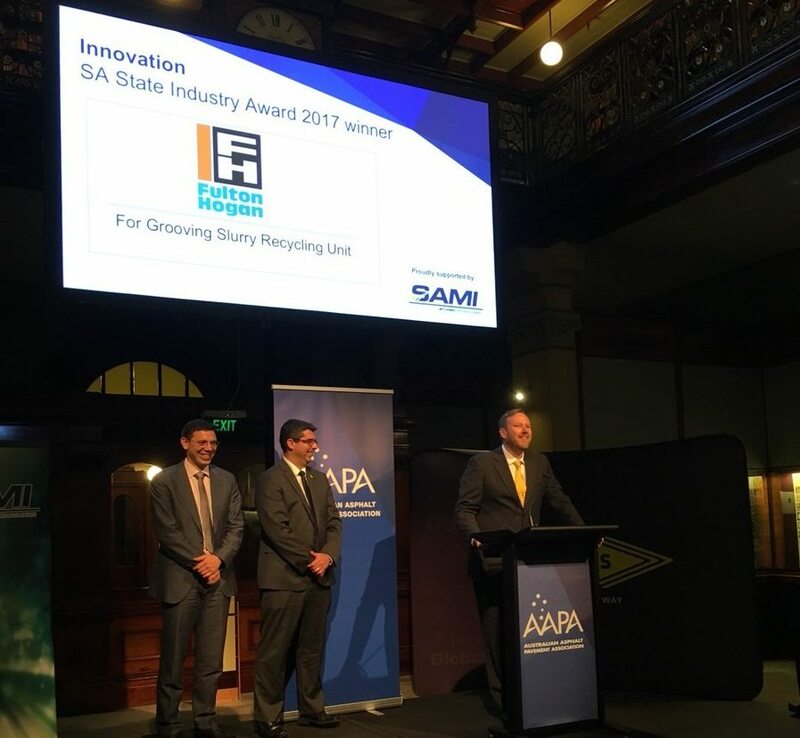 Congratulations to the South Australia Fulton Hogan Group on taking out the 2017 South Australian Innovation in Design, Process or Product Award for the Grooving Slurry Recycling Unit. Thank you to the 2017 Innovation Award Series Supporter SAMI Bitumen Technologies. 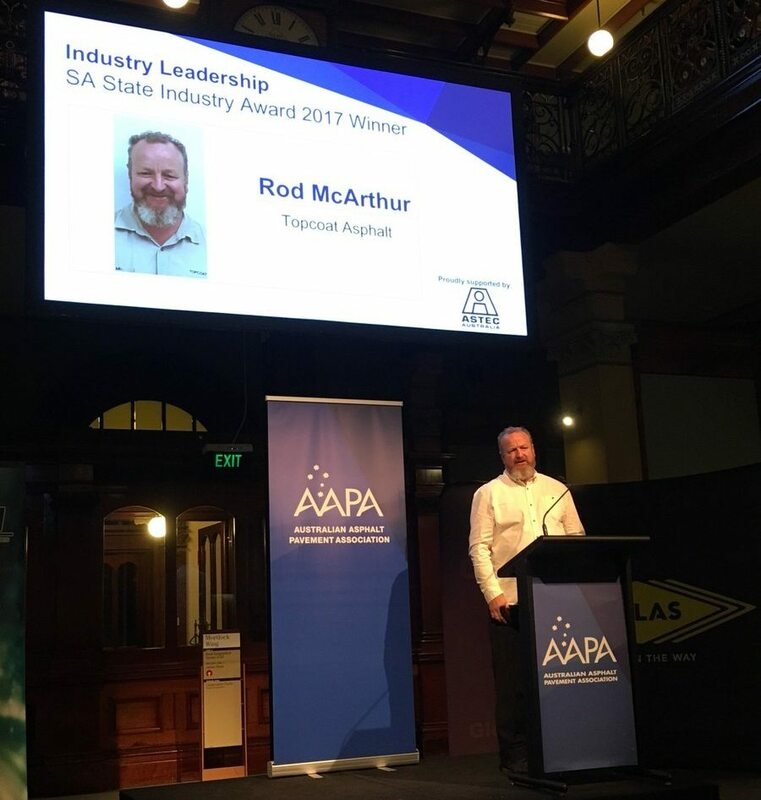 Congratulations to Rod McArthur Topcoat Asphalt for taking out the 2017 South Australia Industry Leadership Award! Thank you to the 2017 Industry Leadership Award Series Supporter Astec Australia.